Last friday, the Musueum of Unconditional Surrender officially opened at TENT, Rotterdam. Two works of mine are on display untill july 5. 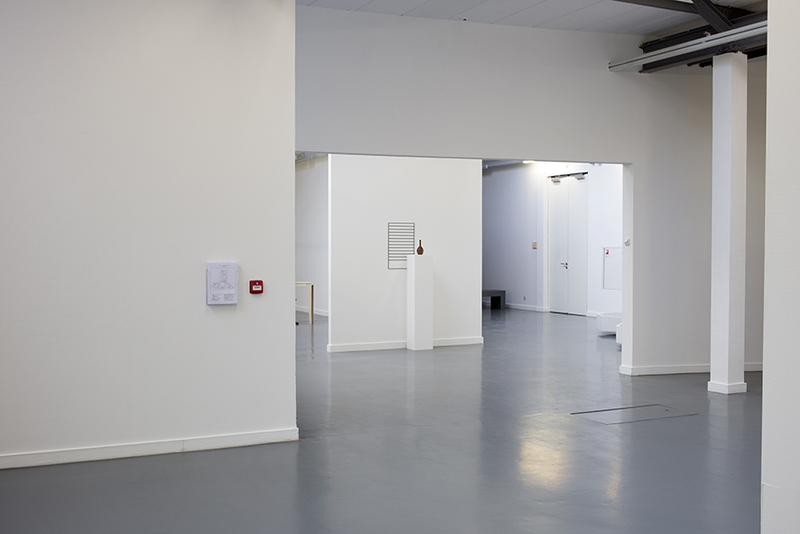 Installation view of Visiting the Museum of Unconditional Surrender – a practical guide, with work of Haris Epaminonda in the background. 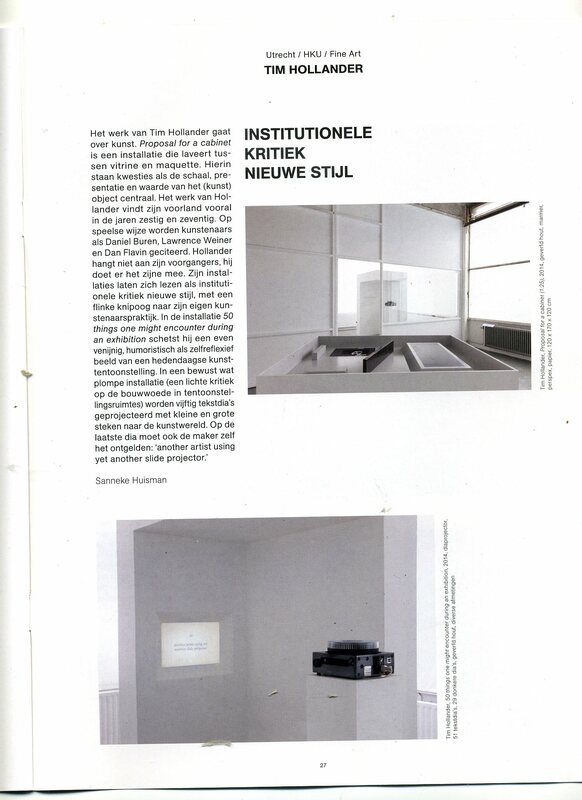 I’d also like to officially anounce my solo-presentation at Kunsthal Rotterdam called Curating the Collection (1992 – 2014). Starting point for the installation is the curating of a presentation of the collection of an institute without a collection. Unlike a museum, Kunsthal does not have a collection of artworks, but it does have a vast collection of objects that have once been used for the purpose of exhibitions. 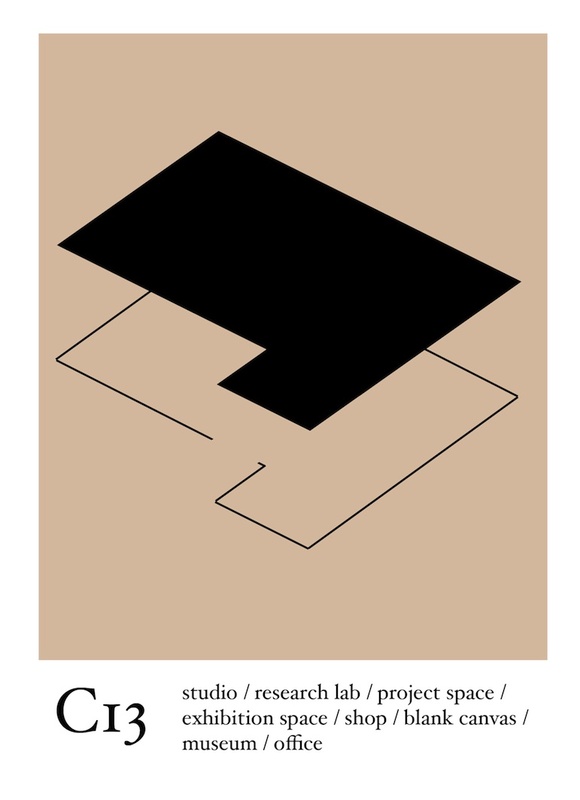 Plints, vitrines, displays, floorplans and other objects and information will be stripped of their supportive function and will be the heart of the installation, presented according to the esthetic rules of contemporary art. 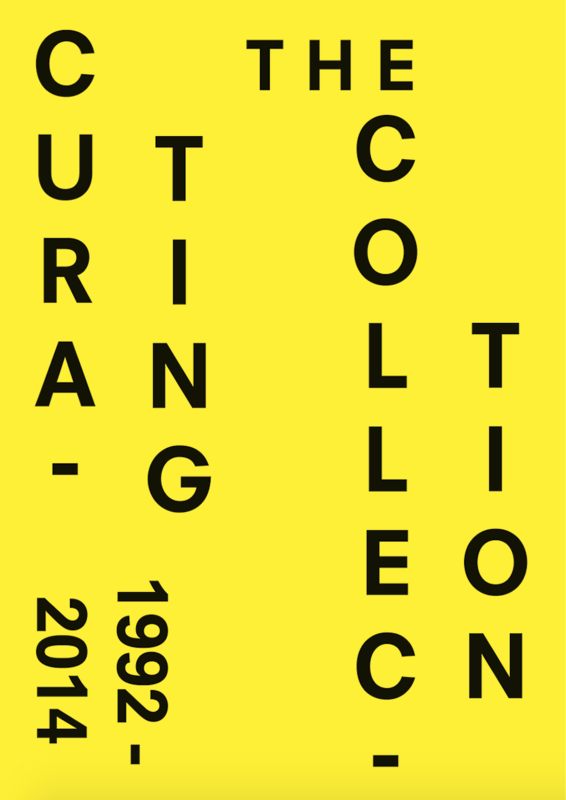 Curating the Collection opens july 6th 2015 at Kunsthal, Rotterdam. 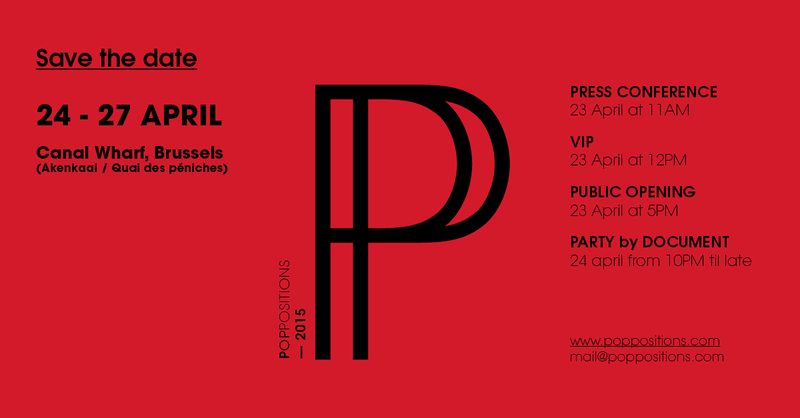 I’m happy to anoune that I will take part in two new exhibitions in april and may. 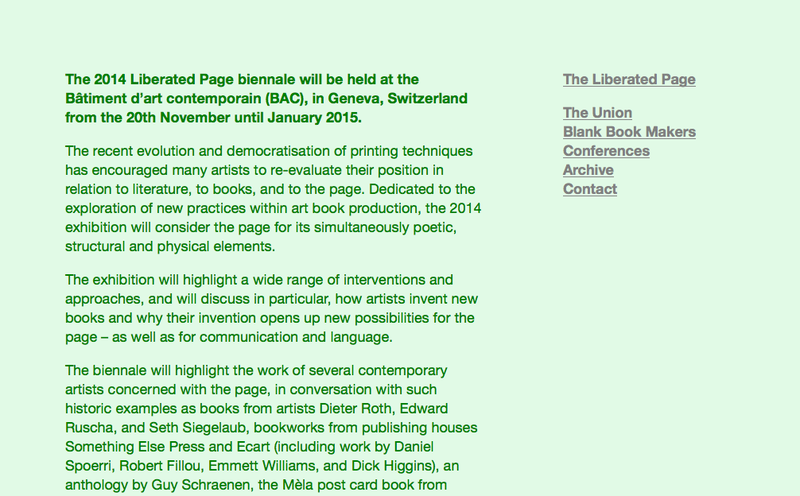 The Liberated Page Biennale will feature my book 12 Choreographies. 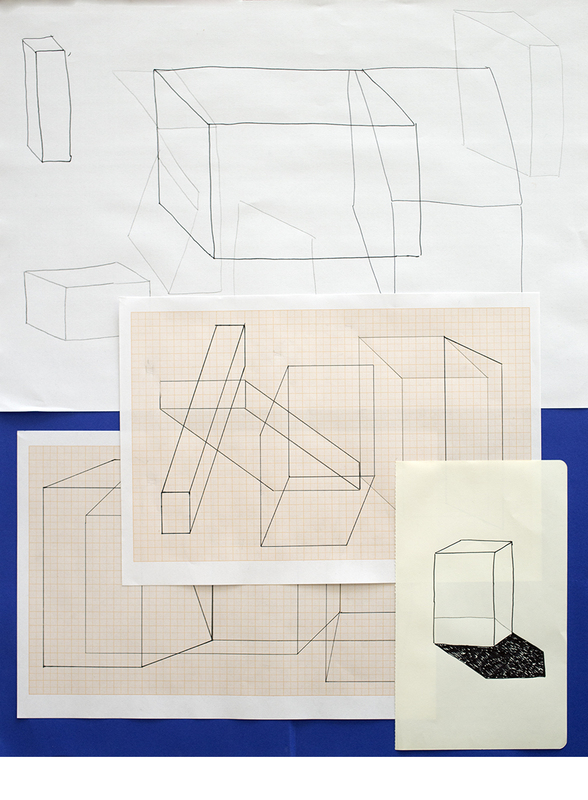 Places Space will display a new version of my work ‘Proposal for a cabinet’ (which was also used in this installation) combined with some new works. 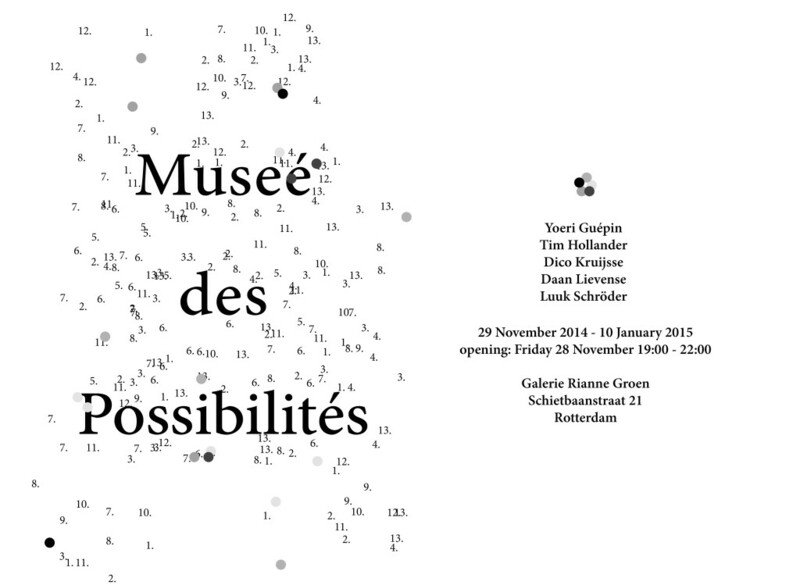 The Museé des Possibilités will feature a few new works of mine. More info about the exhibitions will be anounced soon. My work is still on display at Ron Mandos’s Best Of Graduates 2014 untill saturday august 23rd, and Metropolis M wrote a nice article about my work in their graduation addition of their august/september issue. A few quick updates about some exciting things. 2. Three of my publications (to be exact: Which Way Brouwn, 12 choreographies and Contemporary Poems) are now available trough Johan Deumens gallery in Amsterdam. 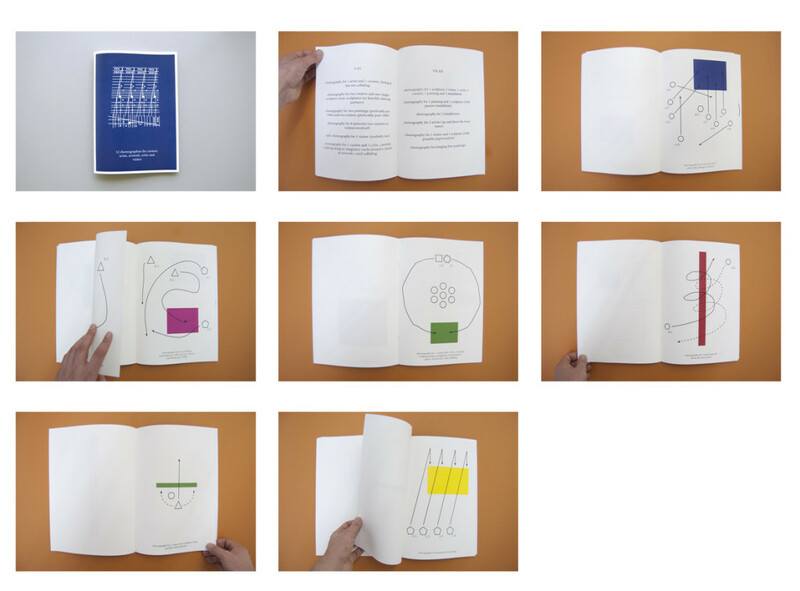 Johan Deumens has been specialised in artist books, publications and editions for over 25 years. 3. 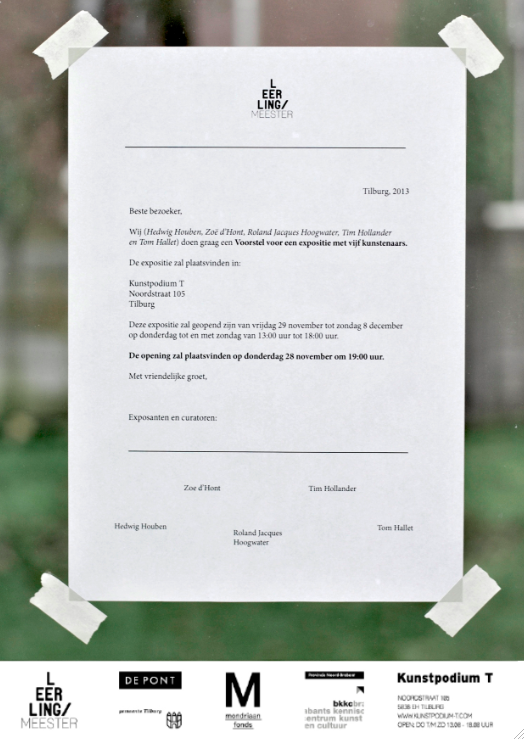 Art critic Nanda Janssen has been writing blogs for dutch art magazine Kunstbeeld. 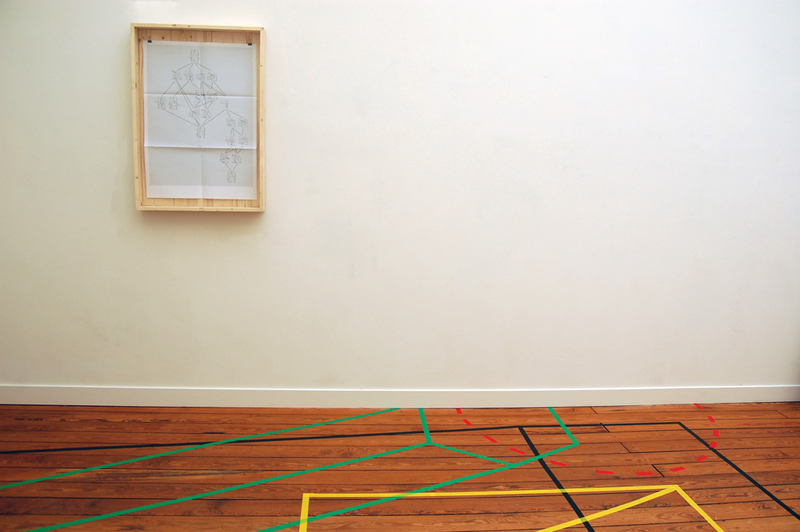 Her latest double-blog investigates the use of choreographies within visual arts. Read part 1 here. Part 2 (which will include some of my work) will follow soon. 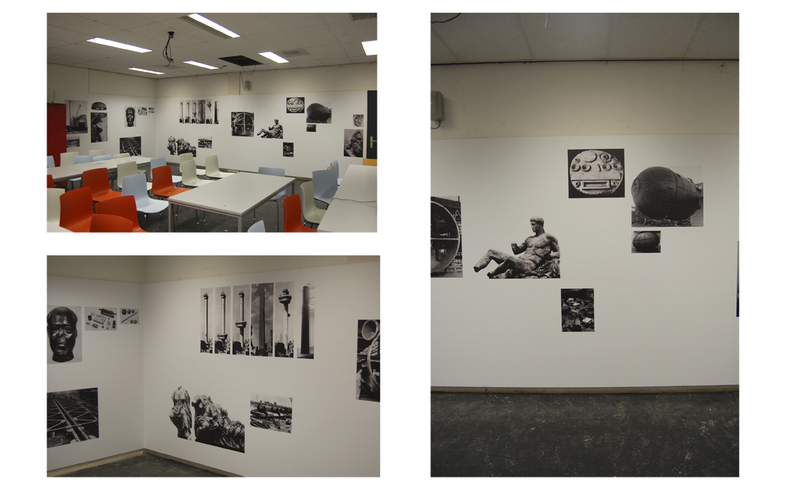 ‘The endless recycling of images, ideas and techniques’ – a commisioned piece I did got installed today in the college room of HKU’s Fine Art department. It measures 965 x 205 cm and mixes up history, art history and the local history around the building. 1. 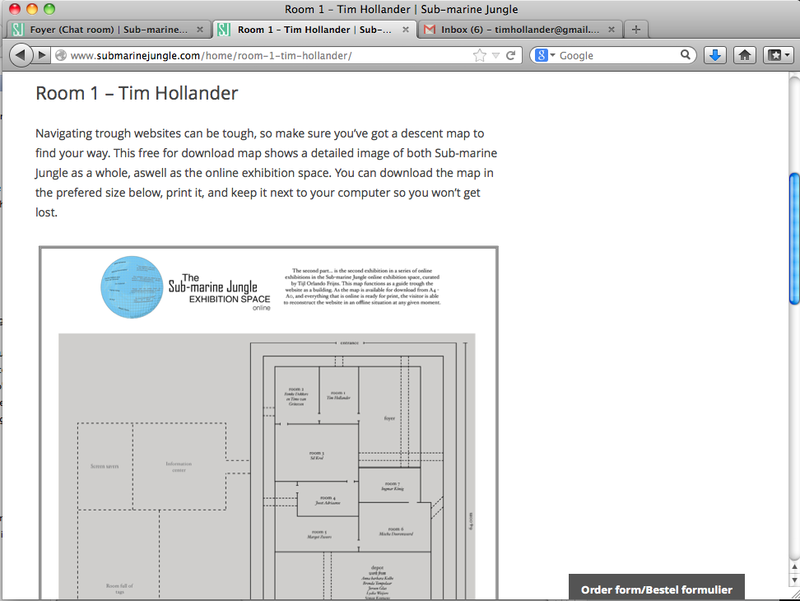 My work is now available via digital platform Submarine Jungle. 2. 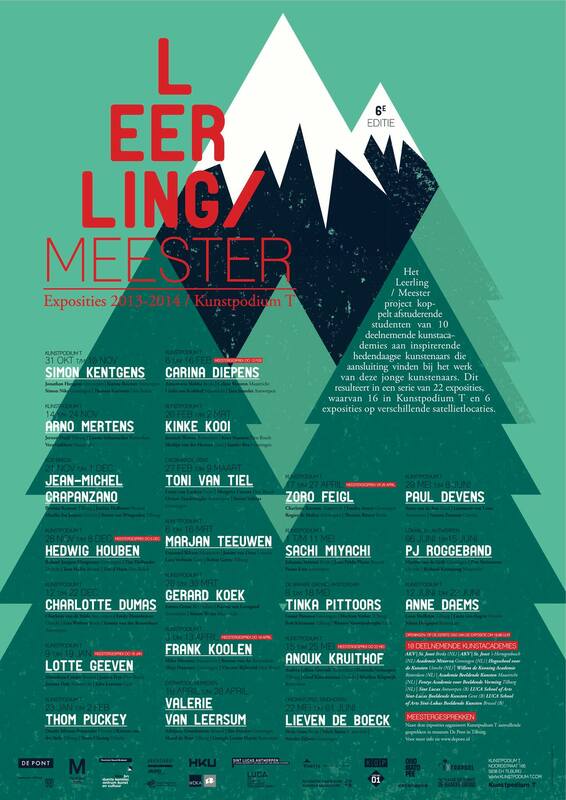 Save the date: on november 28 will be the opening of my Leerling/Meester exhibition in Kunstpodium T, Tilburg, together with Hedwig Houben, Roland Jacques Hoogwater, Zoë d’Hont and Tom Hallet. More info soon. As a result of the workshop I hosted during Call of the Mall in Hoog Catharijne in Utrecht, I made a series of diagrams which are brought together in a new publication: Excuse me, what time are you? Check it out in the publication section. For Gonzo (Circus), musician and Moving Furniture Recordings label owner Sietse van Erve compiled a series of mixtapes introducing new and older faces in the Dutch (experimental) Electronics scene. The mixtape comes with a short bio of every involved artists. For this mixtape, Sietse selected one of my tracks from the Preset-series: Jam. Check the text here and stream the mixtape below. C13, my studio/research lab/project space/exhibition space/shop/blank canvas/museum/office/and more for the next and final year of my study. You can stream the performance I did during the opening of Surface to Space right below. During the art event Call of the Mall in the shopping mall Hoogh-Catharijne in Utrecht, artists Annete Kraus and Maja Bekan initiated a series of backstage walks in the mall, as part of their research into time for their project School of Temporalities. The first walks took place in june, earlier this year. In september, there will be a new series of walks and workshops. I will be giving one of those workshops, which will look into different methods of mapping time. It is an open workshop which will take place at tuesday september 3rd, from 3-6 pm. 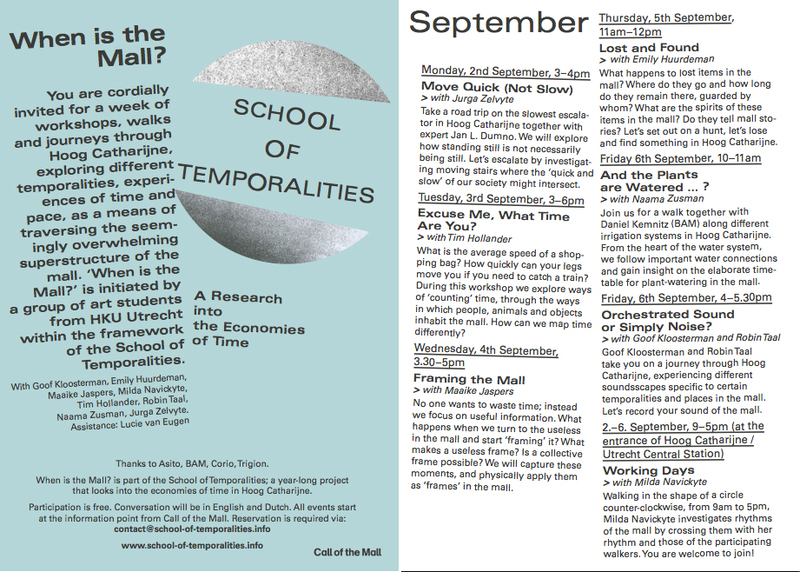 Check www.school-of-temporalities.info for more info and the other workshops. Excuse me, what time are you? What is the average speed of a shopping bag? How quickly can your legs move you if you have to catch a train? During this workshop we explore ways of counting time in the mall, researching the time that people, animals and objects spend in the mall, their tempo and directions. In what ways can we map our times differently? 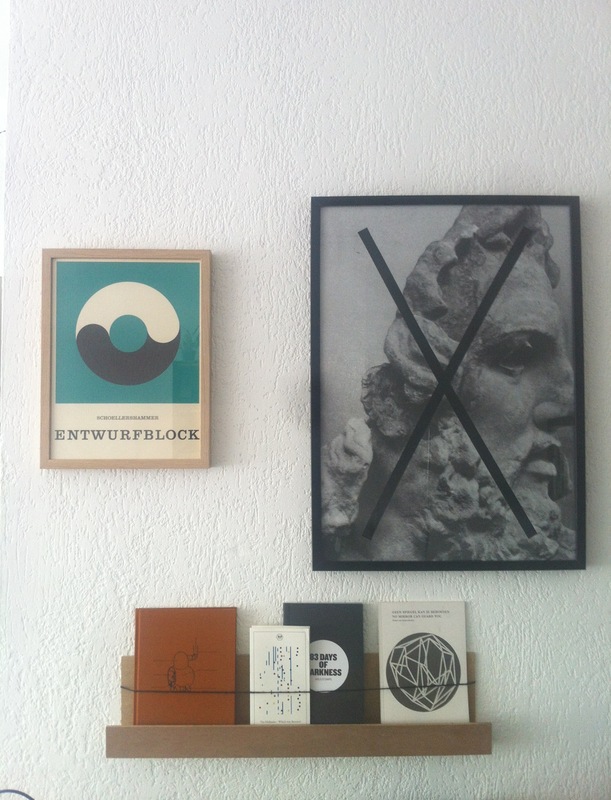 Since about two months I use a wall of our house as a temporary exibition space for prints, publications and other stuff. I try to update the exhibition montly. Most of the work is my own, but I also use some works of other artist, collaborations or work of my girlfriend. 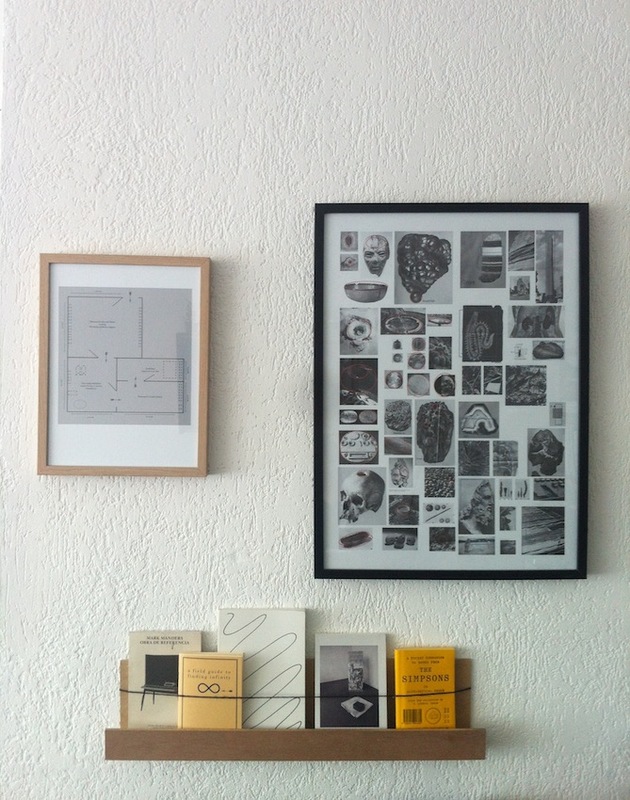 Living room exhibition II – featuring work of my own, a found cover of a notebook, and publications by Koenraad Dedobbeleer, Nickel van Duijvenboden and Niels Stomps. Living room exhibition I – featuring two prints of my own – and publications by Mark Manders, Marijn van Kreij, a collection of video-stills from the Simpsons, a publication by Doenja Likumahua (designed by me) and a copy of A field guide to finding infinity.